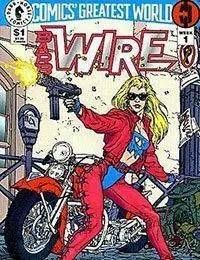 Shes blonde, beautiful, and bad to the bone -- shes Barb Wire, bounty hunter with an attitude. The savage streets of Steel Harbor are ruled by human predators with prices on their heads. The highest price comes for the bad boys with super powers, and big game is Barbs specialty. But when the events in Golden City set off a firestorm of violence in Steel Harbors urban jungle, Barb finds herself in danger of being burned alive -- literally!